Wyoming has dropped their season opener to North Dakota of the FCS 24-13. Chad Smith, Brad Reed and Connor Cunningham break it all down as the Pokes look forward to hosting Eastern Michigan out of the MAC on Saturday. Is the UND loss one of the worst losses in program history? Has this loss changed your expectations? 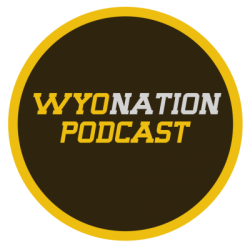 That and more will be discussed along with an exciting WyoNation announcement.